Join or Renew Your Event Membership Now! You’ll gain great benefits for your event while providing the crucial support we depend on to continue our important mission: advancing bicycle access, safety and education in Texas. Supporting BikeTexas is also a responsible and beneficial way to ensure that cycling events continue to grow and prosper. As members, event organizers pledge to collect and donate $1 per participant from the event’s registration fee to BikeTexas. Pledge invoices are mailed out 30 days after the event date, but are not considered due until you have closed out your books. Together we can reach more prospective and current cyclists and work together towards a brighter future for cycling in Texas. Join today! Membership in BikeTexas means event participants join forces with more than 80 member events and clubs, together representing more than 30,000 (and growing) Texas bicyclists. That figure weighs heavily on the minds of local, state and national legislators and solidifies Texas cyclists as a unified, formidable legislative force. 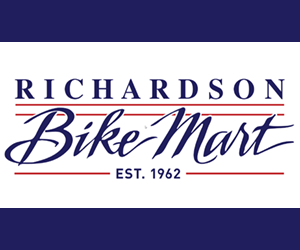 By enrolling in membership, events will be recognized by others as responsible contributers in the ongoing mission to advance bicycle access, safety and education throughout Texas. Membership with BikeTexas ensures that cycling events can continue and that a seasoned, dedicated advocacy team is in place and active to protect cycling routes, trails and other interests. We can’t stress enough how important event membership is to the BikeTexas’s advocacy programs, activities and initiatives that both directly and indirectly affect the future of organized group cycling events in Texas. BikeTexas.org is BikeTexas’s member-driven and supported online environment. There are many virtual benefits of becoming an Event Member. Over 6,000 unique visitors access and browse the site each month. 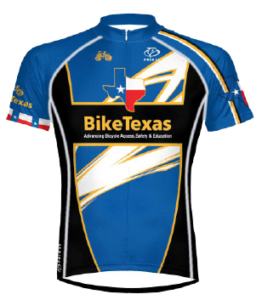 BikeTexas.org is one of the first sites identified by most search engines when querying for Texas bicycle rides and other cycling events. The Member Event Calendar is one of the most popular features on BikeTexas.org. A Member Event Calendar Webpage is added for each event, listing all detailed information provided with each application. If events have been listed on the calendar in the past, we will simply update the existing page with the current information plus any new links and images (logos, web banners, photos) provided. Site visitors can access event information by simply clicking on, and then scrolling through the popular Member Event Calendar icon link that is positioned in the right column menu on every BikeTexas page. As an added benefit, since Member Event Webpages are not deleted once an event concludes but continue to be visible year round, members may submit “wrap up” articles/images featuring news about the success and outcomes of their event. This enables our members to keep calendar webpage content current until updated information is submitted regarding future events. Member events are added to the Member Events Link List that appears on the site – About Us / Members / Event Members. This event member list is compiled by location so that site visitors can easily find events that commonly happen near them. Member events are added to the BikeTexas Member and Community Events Calendar that appears on every page of BikeTexas.org. This list is dynamically created based on all event information posted and is designed to display links to the calendar webpages of upcoming events. As the month and date of an event approaches, the event’s link will automatically appear in the list and stay on the list until midnight on the day of the event. Event Members may take advantage of our Member Event Flyer Download benefit. When PDF or Image flyers are submitted with applications, they are uploaded onto the BikeTexas.org web server and links are created from calendar webpages so that site visitors may download them to view and or print. OR, if members already have a flyer hosted on another website and provide us with the link address, we will link directly to them from calendar webpages. Event Members may request Event Packet Stuffers, developed by BikeTexas, be shipped at no (or minimal) cost for distribution to event participants. Stuffer materials change and vary due to availability, so please contact us by email or phone at least 30 days prior to events to discuss what we currently have available for distribution.